There are many options available when it comes to recording multichannel music or audio, like ProTools, Cubase or Ableton Live, but all of them are very complex alternatives, and aren't suitable for people that are just beginning. 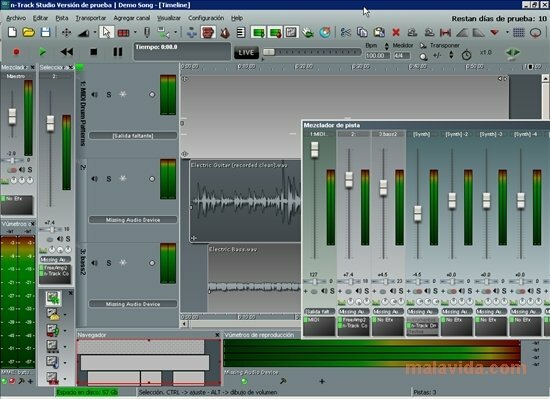 n-Track Studio offers you a series of professional features and a very simple interface suitable for any user. 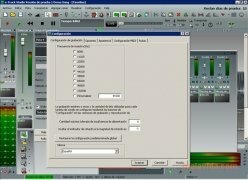 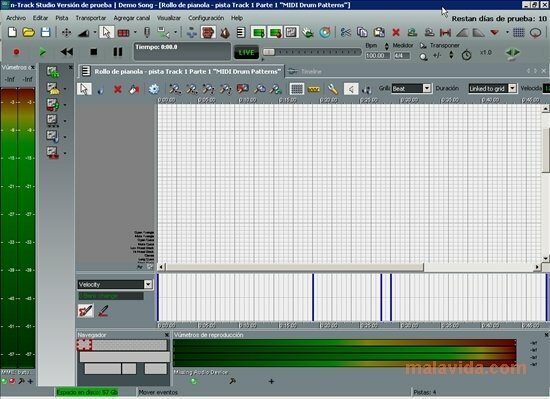 The application has all the tools necessary to record, play and edit audio and multitrack MIDI, offering a complete mixing system (volume, pan, insertion and sending effects,...) and a very stable sequencer. 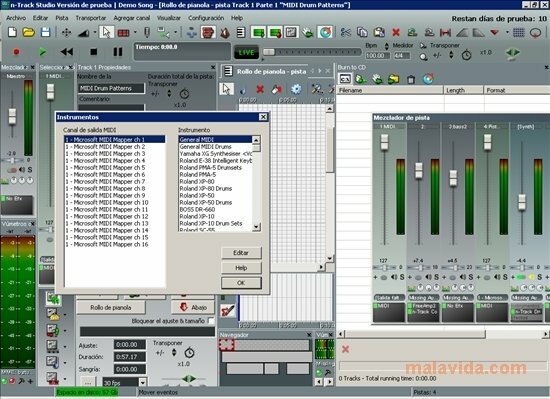 It's compatible with all market standards like the ASIO, WaveRT or WDM drivers, VST, VST3 or DXi virtual instruments, and the ReWire protocol, thanks to which we will be able to communicate n-Track Studio with other applications like Reason or FL Studio. 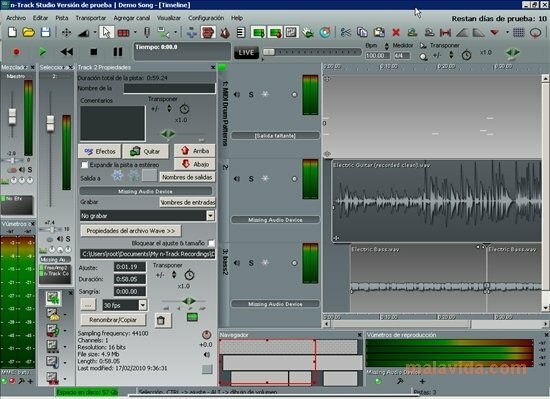 It includes a collection of native effects like reverbs, delays, filters, pitch-shifters or dynamic processes. It also includes a step sequencer that will ease the creation of drums. 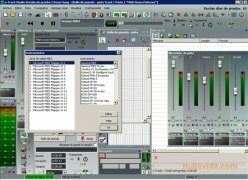 If you're looking for a solution to create a music track, from the composition to recording it on a CD, that isn't very heavy for your operating system and is easy to use, n-Track Studio is the ideal option. 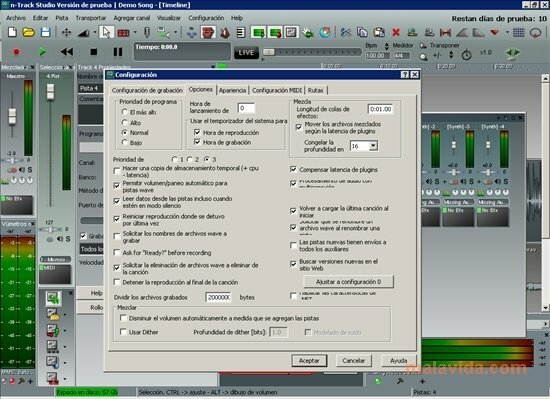 The trial version allows you to try the software for 10 days.